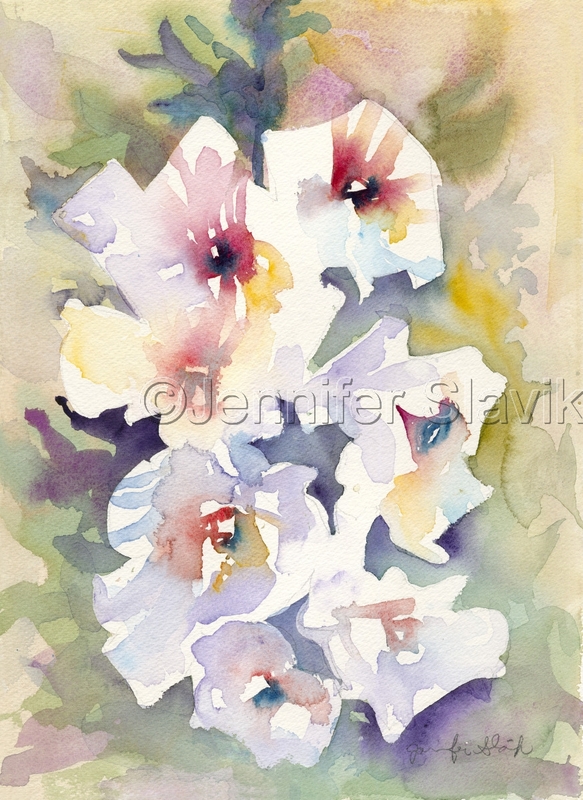 This is a floral watercolor in a series of florals using keying of white areas with colors to indicate reflection of light. Prints only. 6.75" x 5"8.25" x 6"9.5" x 7"11" x 8"12.25" x 9"16" x 11.75"